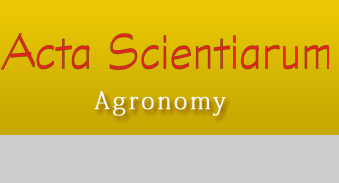 The objective of this study was to evaluate the agronomic characteristics of corn seed inoculated with Azospirillum brasilense, grown on black oat and ryegrass straw, and managed under different grazing strategies and doses of nitrogen. The experiment was conducted in Santa Maria, Rio Grande do Sul State, Brazil, during two agricultural seasons (2012/2013 and 2013/2014) in a randomized, complete block design with three replications. In the winter period, black oat and ryegrass straw were managed at different grazing heights by sheep (0.30, 0.20, 0.10 m, conventional grazing, and no grazing) with three doses of nitrogen (0, 50, and 100 kg ha-1, with or without inoculation by A. brasilense). We used the hybrid Pioneer (P1630H®) in 2012 and the hybrid Agroeste (AS 1551®) in 2013. The height of corn plants was greater when they were grown on black oat and ryegrass straw, and the absence of grazing favored productivity. Under drought conditions, the application of nitrogen to the pasture favored corn development, increasing plant height, ear height, and stem diameter. Inoculation with A. brasilense had a positive effect on the characteristics of yield and productivity of corn, independent of growing season and hybrid used. Zea mays; grazing heights; biological nitrogen fixation; nitrogen; integrated systems.